Friends, meet Berry Slush of Greenwich Pizza. It’s a refreshing and icy mixed berries slush topped with strawberry syrup. 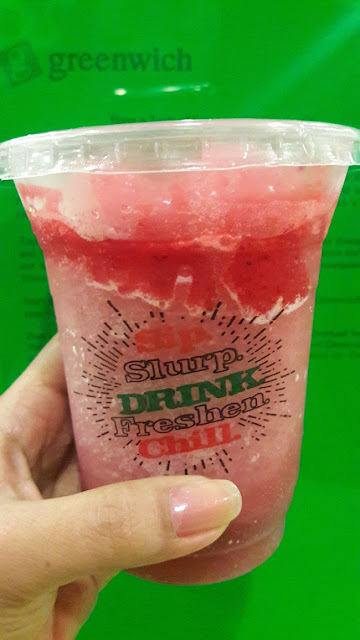 A #BerryRefreshing slush, indeed! I thought I wouldn't want this, but after tasting it, Berry Slush instantly became my favorite! Must be the mixed berries that made me love it! Thank you for joining! Welcome back to Pink Fridays, Mommy! Oh that's a refreshing for the sizzing summer heat! The color and the crushed ice makes this mouth watering and candy to the eye.